How To Run A Local ‘Political Campaign’ For ‘First Time’ Candidates In ‘General Elections’? The first election campaign is always a mountain to climb. It is a sum of social, technical and economic tools which have to be employed at the right time to present the candidate to the electorate. Naturally, for first-timers, the task at hand could seem overwhelming. There are, of course, people who would help you out in all of these activities. You could hire a political consultant or get a veteran in your local political sphere to mentor you. No election, however, is won if the candidate turns their back to the campaign tasks at hand. So as a first-time candidate, you have to learn how a local political campaign is built from the ground up. Below we have lined out the steps you should take right from the moment you decide to run. From engaging your first supporter to announcement and planning, we have got you covered. Once you decide to run for a local office, you need to understand the community and its political atmosphere. The best way to do that is to meet with the people. Attend meetings in the community and learn about the issues that they face. Speak with influencers in the political and civic space. Attend events in the county and with different issue-based and civic organizations. These people will clarify what your position needs to be to win over the locals. In a local election, you could get your campaign off the ground quicker with the right people backing you up. These people would be the local decision makers, influencers, party officials and people with a history of contributing to campaigns. Find and engage these folk first. Sit with them to discuss the issues of interest. This communication lays a strong foundation and should be continued throughout the campaign. Connect with past candidates to get hands on their donor and volunteer lists and learn what worked for them during their run. Fundraising for the campaign is one thing that should be started as soon as possible. Of course, you would need a fundraising plan which lines up with the rest of your campaign strategy. Instead of waiting to finish a fundraising plan, get started on asking within your circle. This includes friends, family, neighbors and colleagues. In case you have little experience asking for donations, this will help you gain practice in making a personal ask. For people who are interested in participating, bring them into the game as well. They can approach in their circle or other people who have donated to like causes in the past. Now that your campaign is turning gears, you should form the team that would take you through the journey. So ask the people who have come forward to help to take up roles in the campaign. Their personal skills and experiences will feature in how they handle the responsibility attached to the role. So discuss and delegate tasks to get the best out of your team. You should recruit volunteers for the ground and for running tasks at headquarters. Volunteers build up motivation within the campaign. Take care not to wear them out at the start of the campaign. Once your campaign is on the ground, there would be little time for deciding poster designs and the text on literature. This is why you should figure these details when you have your team ready. ALSO READ: 'Triangular Fight' In Musheerabad And Khairatabad Constituencies As BJP Has The Edge In Elections? Having someone with a strong design sense onboard is always useful. Choose design and layout for yard signs, mailers and brochures and create forms for donors and volunteers. You should step forward to introduce yourself among the electorate. The candidate profile lets voters form an opinion of the candidate and draws in a supporter base. Doing this early on is vital. Your opponent would also be spreading their own messages and may present you as an unworthy candidate if their message gets to the voter first. Get a campaign website and official social media accounts for the campaign. Reach out to new voters through common acquaintances or use traditional approaches like newspaper and TV ads to do so. Political environment – Which side do your voters traditionally lean toward? What are the opponents’ issues and policies? Targeting and Demographics – The areas you would focus on based on gender, age, occupation, religion, ethnicity and ideology of the voters living there. How would you target them? Campaign message and issues – What is the core message of your campaign? How does it relate to the issues you focus on? 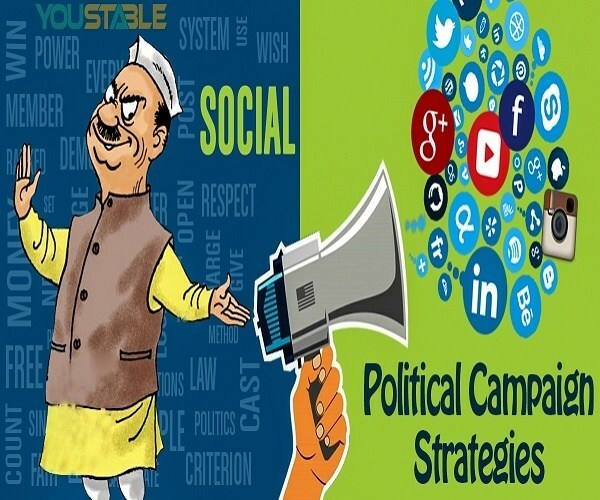 Communication plan – The campaign paraphernalia, direct mail and paid media to spend on. How do you plan to get press coverage? Grassroots plan – How do you plan your ground outreach using volunteers? Plans for absentee ballot and Election day activities should be planned beforehand. Campaign budget – What would be the budget for every task? Fundraising plan – What methods would you use? The events and major donors necessary to meet fundraising goals etc. ALSO READ: Will 'Telangana Women' Gets A Place In State Active Politics? You also have to take note of the process to enter the ballot and the deadlines for tasks like filing paperwork in your state. A campaign committee is a legal business entity and you have to get it registered as such. Set up a checking account for the campaign as well. These are important steps and you may want to consult with someone who’s aware of the specific state laws. Collect and file the paperwork to run for office. Now you would officially be a candidate and ready to launch the campaign at full scale. Before that, you need a dedicated voter file to track communication with your voters. The voter file you collect may be from a past candidate or the one available from the Election Office. Go through all available options to select a voter file and use it to build a dedicated list for your campaign. All instances of communication with a voter should be updated and used to improve the relationship with them. This way you can run a personalized campaign and win over a large supporter base. 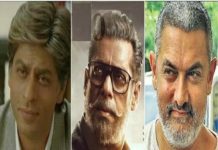 Why Aamir, Shah Rukh And Salman Khan Suddenly Opted ‘Oldies’ Roles In Bollywood?